Omena Babalola has over 20 years’ experience in the areas of management, accounting, finance, risk, audit and information technology. 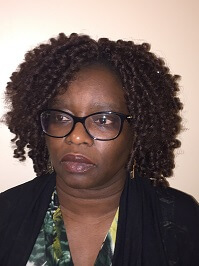 She obtained her Master’s degree in Business Administration in 1992, and is a Certified Management Accountant (CMA), with professional certifications in Internal Audit (CIA), Risk Management Assurance (CRMA) and Information Systems Audit (CISA). Her talent for identifying opportunities for improvement in processes and providing leadership has been put to good use in her work with various multicultural organizations in the community. She has also served as a board member with several professional and community groups.